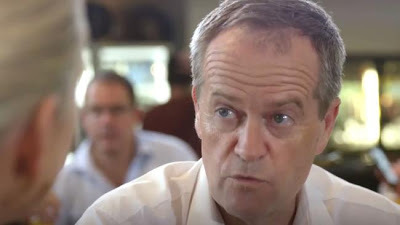 Apparently Federal Labor under Bill Shorten is considering significant reform of Australia’s tax system to bring in potentially billions in new annual revenue, and to address the scourges of disadvantage, inequality and poverty. Labor had already long since committed to reform on capital gains tax concessions and negative gearing; with some modest changes on superannuation tax concessions as well. “ending the diesel fuel rebate” for miners and farmers; again bringing in perhaps over $4 billion. These would be very welcome announcements should they eventuate. Though to aspire to an extended social wage and welfare state, Labor really needs to be considering ‘in the ballpark’ of 5% of GDP in progressive new annual spending – arrived at over several terms. And a figure of increasing Federal Government expenditure by 2% of GDP may be appropriate and realistic under a first term Labor government (ie: increase progressive tax and associated expenditure by around $32 billion in a $1.6 trillion economy). We will consider other possibilities to reach that vicinity later in this article. But ‘The Australian’ (22/7, pp 1, 8) talks itself into a corner while unwittingly providing ammunition to refute the Herald-Sun’s suggestion that ‘inequality is a mirage’ conjured up by Shorten, and is not real. It quotes labour market economist Professor Robert Wilkins to the effect that inequality has not been “ever rising” since the Global Financial Crisis. (2008) But then has to concede that the portion of national income going to the top 1 per cent has approximately doubled since the 1970s to over 8 per cent. Wilkins also interestingly concedes that inequality is “high by modern standards”. Wilkins further concedes that we do have wage stagnation. And when you add a rising cost of living, the reason inequality is becoming a far more urgent and resonant issue is clear. Further, ‘The Australian’ observes that Shorten and Bowen are drawing on pre-tax figures on inequality. But if anything taxes have long been becoming lower, more broad-based, and less progressive; at the same time as we have observed a growth in the application of the ‘user pays principle’ for everything from education to water. Briefly, arguments about ‘the size of government’ also flounder in the face of statistics. Whereas Australia enjoyed a general tax rate of 26 per cent of GDP and expenditure levels of 35 per cent of GDP in 2014, the figures for Finland were at 43 per cent of GDP and 55 per cent of GDP respectively. Meanwhile Germany enjoyed a total tax take of 37 per cent of GDP, and expenditure levels of 45 per cent of GDP. So Australia is lagging behind some of the most successful economies in the world in respect its levels of tax and expenditure. Despite Ideological claims to the contrary from the Business Council of Australia (‘The Australian’, 22/7/17) and elsewhere, the reality is that ‘bigger government’ can be good for the economy, and even ‘good for business’. While Labor has recently only been courageous enough to target the very rich with admittedly very-modest reforms, ACOSS observed in a 2015 report that inequality was marked in our supposedly-egalitarian nation. Drawing on ABS (Australian Bureau of Statistics) research, ACOSS depicted the average income and wealth according to five “quintiles”; “a statistical value representing 20% of the population, of which the first quintile represents the lowest fifth of the population, 1-20%; the second quintile represents the second fifth, 21-40% and so on”. Here the bottom 20% of Australian households enjoyed a total averaged income of under $34,000/year; while the quintile immediately above enjoyed a total averaged income of only $67,113. The middle or third quintile amounted to $97,570 ; the fourth to $134,127; and the final and wealthiest layer $232,175. Household wealth was similarly measured, and here the bottom 20% enjoyed average total household wealth of $31,100, but the top 20% enjoyed average wealth of $2,212,200. This gives us some idea of the extent of income and wealth inequality. Though these statistics may also admittedly be influenced in the context of ‘asset rich, income poor’ households; those who may own a family home for instance, but who may fall into one of the bottom two quintiles for income. Also the top 20% wealth and income quintiles may be affected by the weighting of the extremely wealthy. Again: after all, research quoted by Robert Wilkins in ‘The Australian’ (22/7/17) has it that the top 1 per cent alone account for over 8 per cent of total wealth in Australia. Labor needs a nuanced approach: assisting the income poor and the asset poor, while redistributing from those who are income and asset rich. Deflating the housing bubble and making home ownership a real prospect for families again is crucial. Labor’s Negative Gearing reforms are essential here. Expanding public housing is necessary to assist low income families and vulnerable individuals as well, while also boosting supply with a ‘flow on effect’ to affordability for everyone. But that’s not the end of the story. In short, Labor needs to redistribute from a broad enough economic base to fund redistribution via the tax mix, tax-transfer system, social wage and welfare state. That must mean redistribution from the upper middle class as well as the outrageously wealthy. Yet tax may need to rise for the ‘middle income’ layers as well. Tax comprises not merely a burden as if taxpayers received nothing in return. It is also the means of funding collective consumption and social insurance. Despite complaints from the banks, the recently-implemented Federal tax upon them was a way of paying for an effective ‘government guarantee’ – a form of ‘economic insurance’ which originated with the Rudd Labor Government during the Global Financial Crisis of 2008 (GFC). Morally-speaking, the ‘middle income layers’ should also show some solidarity with those who are struggling. That’s part of the picture. But by ‘collectively consuming’ infrastructure, services and social insurance they can ensure they also get a much better deal for their tax dollar than they would as atomised private consumers. Consider communications, transport, water, energy infrastructure, health and education infrastructure – and the costs of the associated services. And taxes also must be levied so citizens are ‘covered’ in the case of accident, illness, disability, job loss and so on. Also there is a growing crisis of what some would call ‘corporate welfare’. Ostensibly in order to be ‘competitive’ in attracting capital we have seen an increasing phenomena of tax payers, workers, citizens – effectively subsidising business. Governments ‘look the other way’ on tax evasion, tax havens, abuse of trusts and so on. Or ‘talk the talk’ while taking only token action (Labor could do with some introspection here as well). Corporate Taxation falls lower and lower to ‘remain competitive’. A ‘race to the bottom’. The ultimate consequence of this is that business is no longer paying its fair share for the services and infrastructure it benefits from. That means workers and other taxpayers have to ‘pick up the tab’. But as well as being unfair, ironically this ‘comes back around’ to harm certain businesses as well. Workers and taxpayers therefore have less disposable income, which means less scope for discretionary consumption. This is why some businesses are beginning to worry about falling wages. Though others remain narrowly self-interested – looking only at their own sectional interests, and for instance supporting attacks on penalty rates. The other possibility is that crucial services and infrastructure will just be neglected. But much of that infrastructure and services is a ‘drawcard’ for investment as well. For instance an educated workforce. ‘Social disintegration’ can also mean added costs in the form of crime, ill health and so on. This is without even considering the question from the viewpoint of striving for ‘The Good Society’ and not just ‘economic goals in the abstract’. Raise and restructure the Medicare Levy into a more-progressive multi-tier tax; and index to prevent unfair bracket creep. Also cover Aged Care costs within the Medicare Levy – and raise enough revenue to eliminate unfair user pays costs for lower income, middle income and working class families while improving services, and hence improving quality of life and happiness for residents and those remaining at home. Introduce a ‘Buffett rule’ – or ‘minimum income tax’ affecting the wealthy. Importantly though, Labor’s consideration of increasing the top income tax rate by 2 per cent is not substantial enough to make serious inroads into the deficit, provide for social wage and welfare expansion, or to render indexation of the income tax mix sustainable thereafter. Compared with other taxes, income tax has great progressive and redistributive potential and its significant reform must be prioritised to achieve the best outcomes. It’s encouraging that Labor is considering serious reform of the tax system for fairness. We need such reform to promote distributive justice, and provide the means for social wage and social security expansion. But Labor activists need to hold their politicians to a high standard as well. There is a history of rhetoric on these issues, combined with a failure to match that rhetoric with the necessary action in the ‘end analysis’. Not every measure considered here will be implemented by a first term Shorten government. But extension of progressive tax and associated social expenditure by 2 per cent of GDP, or $32 billion in a $1.6 trillion economy, is a very good place to start. This article was originally published on ALP Socialist Left Forum. It is long overdue that someone took the Australian worker’s side and decided that government has a role in the economy, with the median Australian wage at $43,000 per annum unless both parents can work it is virtually impossible to live on one wage, bearing in mind in some families there is only one parent permanently and the percentage of both (real) unemployment and underemployment is so high there are in excess of three million of our fellow Australians living below the poverty line, some in really desperate situations. Originally, the Prices and Income Accord agreed to wage indexation in return for greater social wage elements including better public health provision through Medicare, improvements to pensions and unemployment benefits, tax cuts, and – eventually – superannuation. As time has passed however, business and government have abandoned their side of the bargain – wages and social wage improvements have stagnated even while profits have grown. Wage restraint from 1983 to 1990 meant unions held back from doing their core work of bargaining with employers for better wages and conditions, and some forgot how to organise and are still paying the price. In the pre-Accord era, real wages had outpaced productivity growth, pushing up labour’s share of income. Since the turn of the century, the opposite has occurred. Real wages have lagged behind productivity growth, so labour’s share has fallen. Today we have a real wages underhang and what is lacking is profit restraint. This latter outcome was never the intention of the Accord. It should not be overlooked that the Accord was never a truly tripartite process. Business, by and large, declined to collaborate with the government and unions at the time. Workers went backwards under Howard: casual and precarious work with inferior entitlements and conditions rose, the inequality gap grew and minimum wages growth fell behind average earnings, there was a deficit of investment in skills and training, and immoral business practices spread. A financial transactions tax in Australia would save smaller traders up to $2 billion a year, collect the government more than $1 billion a year, and would protect the nation from dangerous volatility in the financial sector. Hmm, I think it is risky for Shorten because inequality is bigger than Ben-Her, it’s all too logical that the banks who always side with the rich, always, too logical to expect them to be fair?, they’ll have Bill taken out, one way or the other, Then, in 2008 we the people bailed out the big banking corporations you don’t expect them to be fair and return that wee little favor ?, hell no not ever, and thats a fact right there. Packs of wolves live more balanced and caring lifestyle than us. What have we lost? Vote the LNP into the toilet. We will know that Labor and whoever is leading the ALP, are ‘fair-dinkum’ about addressing inequality and the sham that it free-market capitalism when they acknowledge the damage done by Paul Keating and Bob Hawke in the 1980s, i.e. when that destructive duo took us down the path of neo-liberalism with its consequential privatization, deregulation and ‘small-government’. The ALP then needs to formulate policies that will advocate the re-nationalization of essential services and to increase taxes for the rich. is the first step in that direction. However, knowing the ALP I would suggest that it will need much serious and painful ‘prodding’ before anything really meaningful happens. Remember, one swallow does not make the summer. In the 2013 election the Media in Australia belittled the democraticlly elected government this should be brought to light/court as to why those members of the MSM who worked for, received payment from, and colluded with that foreign national Murdoch they should explain their actions to their fellow Australian citizens and should be made to do so. for this media harassment, false accusation and condemnation went way beyond the bounds of reasonable criticism, (refugee boats arrived daily on every news hour by the hour,) Will our nation be forever be at the mercy of a begrudging media mogul and his obsequious employees, seeking to destroy any government not personally approved by them. No nation ever! should, nor should ever operate under such a tyranny. Good article but I would ask you to view this video of an economics lecture by Dr Steven Hail. This is the single most important message I have understood in my adult life, it started me on a 3 year quest to understand money, I am not finnished learning but the journey has become facinating. 1 good reasons not to be a socialist is they are of a kind that can be bought from the like of the ipa (being antilabor), honestly read the AFR,Turnbulls being spruiking the term changes to 4 years and tax reforms for months now, dont make it sounds like a Shorten initiative…..
Stephengb2014: I echo your comment. Once the need to “balance the budget” is seen as a fraud, the govt. has greater flexibility in pushing forward with reforms. Indeed, greater govt. spending on the right kinds of “investments” such as health, education, infrastructure, and welfare/job creation, will increase growth and automatically increase revenue, helping to reduce the “deficit”, the main purpose of the govt. revenue being then to drain spending power from the private sector. This drain allows the govt. to spend without fear of stoking inflation. Maybe Bill could be persuaded to advocate increasing the number of tax brackets, in order to make the upper middle class and new rich pay more, to better target income tax on the wealthy? It is not helpful to tinker with the existing bracket cutoffs. Widespread tax fraud involving tax haven island states and spurious deductions, self assessment, and lack of effort by the tax office in targeting the wealthy has led to a farcical situation regarding income distribution with many unfair features. But will Bill legislate for more tax brackets? Though I agree completely with the aims I disagree with the means of getting there. The part I disagree with is the widely-held acceptance of the notion that our national government must tax and spend and that the budget must be balanced, at least in the long run. That IS the case for State and Local governments: they do not create money as the national government does. But the national government creates money as it spends and can do so indefinitely. As totaram expresses so well “the main purpose of the govt. revenue being then to drain spending power from the private sector. This drain allows the govt. to spend without fear of stoking inflation”. How much to tax and from whom can then be seen in a new light. I agree with all the recommended reforms listed in Tristan’s article apart from the infrastructure tax. Tax reform is important however on its own it will not suffice to deliver full employment and the quality of government services that we should have. The approach of the MMT economists of regulating the level of fiscal stimulus and also having a job guarantee program to maintain full employment is the best way of ensuring social equity for all, that governments can fund the level of services required and that inflation is kept at low levels. It is self regulating as once full employment is attained the level of fiscal stimulus does not need to increase further and this precludes any big spending politicians from becoming too extravagant which would risk increasing inflation. The MMT approach should also ensure sufficient funds for infrastructure hence I don’t think a separate infrastructure tax as suggested by Tristan is necessary. The Keynesian approach of a period of stimulus producing greater economic activity that increases tax revenue which then ‘pays back’ the original stimulus money is only half correct as in reality whatever deficits a national government with it’s own sovereign currency incurs never need to be repaid as no loans are required to fund any deficits, the needed money is simply created. In fact all national government spending creates money and all national government taxation extinguishes money. This is simply the current economic reality of how national governments with their own sovereign currencies function. If idle real resources such as unemployed workers are available, then net spending (or deficits) will not appreciably increase inflation. There are two more items apart from MMT fiscal policy that in my opinion must be addressed by any future progressive government before they can have a chance of being successful. Firstly the global warming issue must be addressed urgently or we are all doomed and developed nations must do even more as they created the problem and they have more resources available. Secondly totally free trade with low labour cost and industrially capable nations is counter productive and we are better off with moderate trade protection or the equivalent level of government assistance for key industries deemed worthy of retaining. My preference is for tariffs as they are simpler, they provide government ‘revenue’ and are they are likely to be more stable than assistance or grants – thus making investment decisions easier. Inequality in wealth had “become more pronounced in the past few years because of the of the rise in assets prices – people that own those assets have seen their wealth go up,” he said.